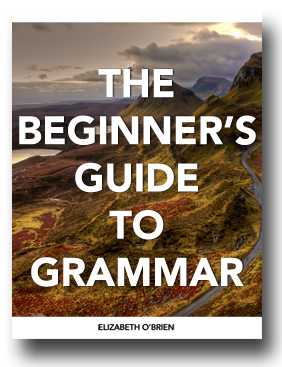 Learn about diagramming coordinating conjunctions with these grammar exercises! 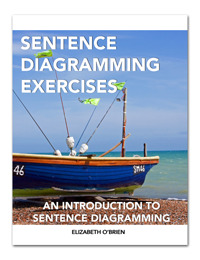 You can also download the 120-page Sentence Diagramming Exercises book with all 11 chapters of instructions, exercises, and answer keys. It's perfect for homeschool and classroom teachers and students. Remember that these conjunctions connect words, phrases, and independent clauses. The connected elements are said to be compound. There are only seven coordinating conjunctions! Mark and Jake walked around the block. 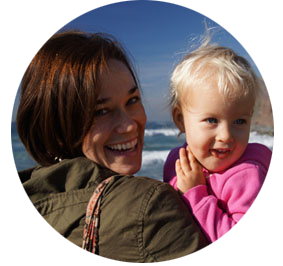 This sentence has two subjects joined with the coordinating conjunction and. That means that this sentence has a compound subject. Mark walked around the block and up the ladder. This sentence has two prepositional phrases joined with the coordinating conjunction and. That means that this sentence has a compound phrase. 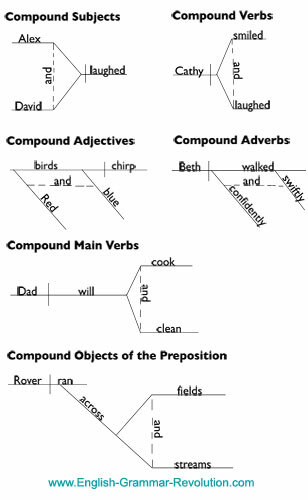 We structure each compound element differently in our sentence diagrams. 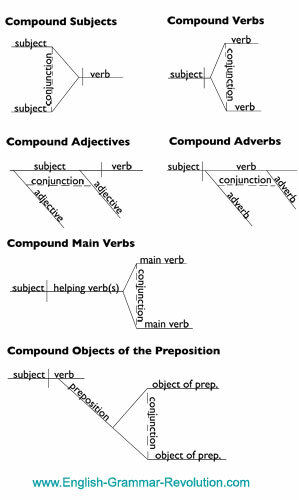 Here are examples of how to diagram compound subjects, verbs, adjectives, adverbs, and objects of the preposition. Use these examples to help you complete the exercises below. Directions: Diagram the following sentences by placing the coordinating conjunctions on a dotted line between the words that they connect. The exercises in this section will only have compound words (subjects, verbs, adjectives, adverbs, and objects of the preposition). I've given you a hint on the first two questions. 3. Lori's blue and green dress has been drying on the clothesline in the yard. 4. I looked for the jacket in the house and the car. 5. Scott jogged quickly and quietly onto the soccer field. Phrases are groups of words that function as single parts of speech. 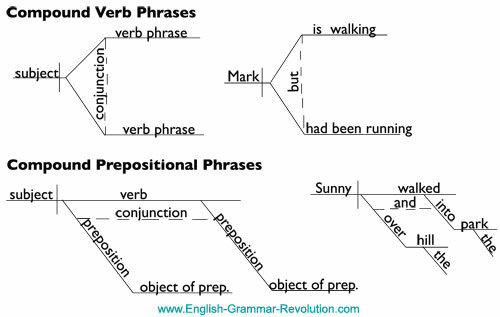 Here are examples for diagramming verb phrases and prepositional phrases. Directions: Diagram the following sentences by placing the coordinating conjunctions on a dotted line between the phrases that they connect. I've given you hints on the first two questions. 3. The crazy little dog ran out the door and toward the stranger. 5. Jason looked in the garage and around the house. A sentence is a group of words that expresses a complete thought. We can make sentences compound by putting two or more independent clauses together with a coordinating conjunction. Directions: Diagram the following sentences by placing the coordinating conjunction on a dotted line between the clauses that it connects. 1. The little kitty in the basket meowed, and the small girl smiled. 2. He drove across town, but she walked. 3. Have you tried, or did you just ask for help? 4. The man in the backyard cried, for he fell from the tall ladder. 5. Should you have been running towards the dog, or should you have been running away from it? Directions: Diagram these sentences using everything that you have learned so far! 1. This red and gray sweater itches and smells like mothballs. 2. Tomorrow, I will swim down the river and into the ocean. 3. Fred and Ginger have been dancing on the dance floor since last night! 4. Have you been dancing and juggling on my very favorite coffee table? 5. Slowly and deliberately, the monkey climbed around the limbs of the tree. 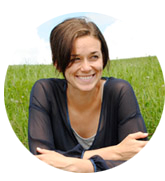 Get all of these answers in the ebook! I have adopted your Sentence Diagramming Exercises as the backbone of our developmental English program at Southeastern University. We are using it for our sections of College Reading and Writing on campus plus we are using it at our satellite campuses and for our evening and online courses. 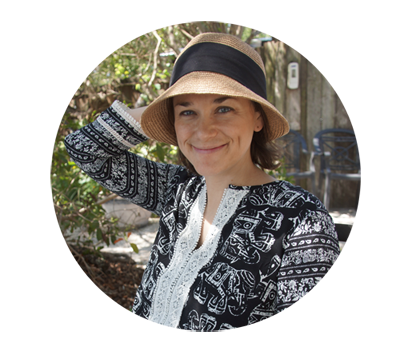 As an EFL teacher of international students and a college composition and writing instructor, I believe I've found in your materials my missing link for fostering adult literacy in English. Thank you! Finished Chapter 4? Move on to Chapter 5.